Is this your first visit to Luxe Concept Salon? We would like to welcome you with a special offer. 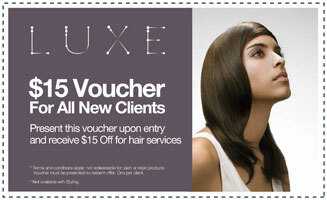 Simply print and present this voucher to receive $15.00 off hair services at your first appointment.